Grace-Anne Kelly is charismatic actress with a real gift for comedy. Grace-Anne has just completed filming ‘Detox’ for sky/Baby Cow written by comedian Seann Walsh. She has also appeared in The Clinic, Fair city, Ghosts of Erin, Call Girl and numerous roles in comical commercials. 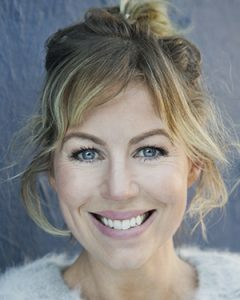 She has toured with Niall Toibin and Des Keogh on ‘The Sunshine Boys’ to rave reviews. Other theatrical credits include Amnon and Tamar, Surface Tension, The shoes. She trained in the Gaiety School. Height (inches): 5' 4 1/2 "
Call Girl Call Girl Duboce Productions Ltd. Hot New Looks, Gray Advertising, New York Windmill Studios. (AD) Stings for Impulse/Popcorn TV3. Dublin School of Acting (Oscar). City Lit, London Professional Preparation for Actors (RADA). City Lit. Dance and Drama. Ann Kavanagh. Vocal Workshops – Kevin Crawford. Andrea Ainsworth. Suzuki and Viewpoints with SITI company, New York. Good with accents, wide range.